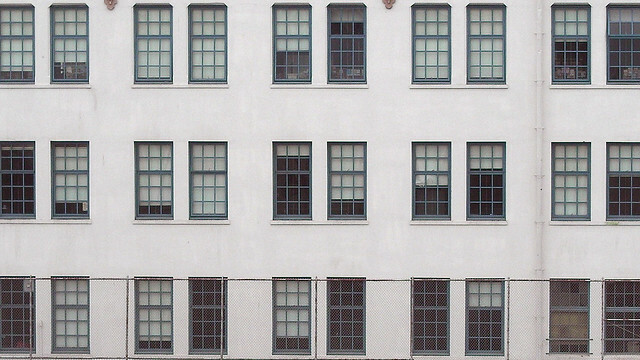 This is a side view of Mission High in San Francisco. I am inspired by the contrast between the orderly set of the windows and the disorderly levels of the blinds. Some are half up, some a quarter down, etc. I also like the thin sashing in contrast with the fat sashing between the windows. 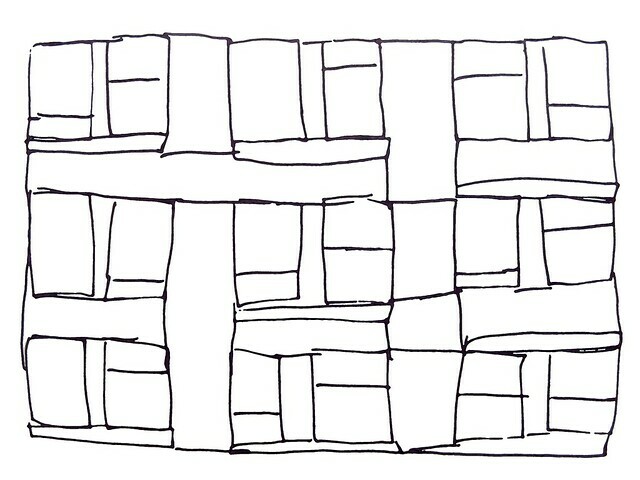 View my archive of quilt pattern sketches and the images that inspired them. What's inspiring you these days? And why? If you've blogged about it recently, include links to your post.